Superchunk have seemed an awful lot more stable as a unit since coming out of the freezer in 2010. Responsible for some of the best lo-fi indie rock records of the nineties; and for all their sound was based on treble-y guitars played fast, there is a surprising about of nuance and breadth to the band’s work, most obviously displayed on 1994’s ‘Foolish’. The band no longer fizzed with the chaotic presence of yore, but have become a durable, exhilarating rock band. Disappointingly, what’s immediately apparent is from What A Time To Be Alive is that all of that vulnerability and nuance I associated with the band has been stripped from the production on this record. 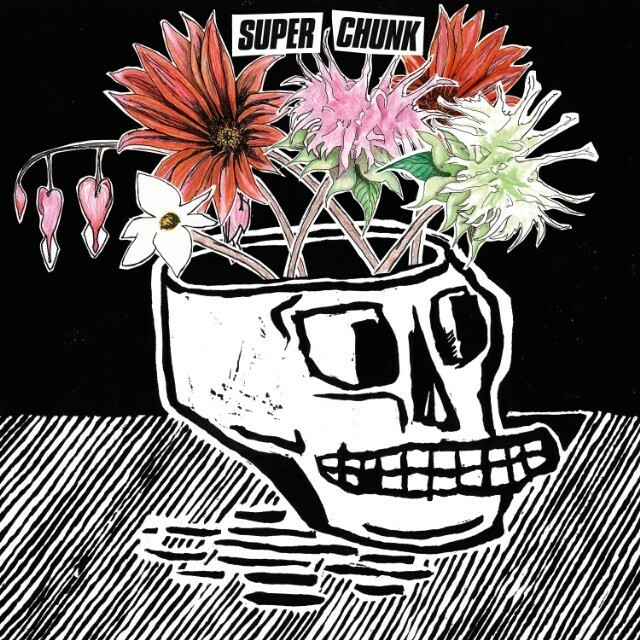 On first listen with its hi-hats incredibly high in the mix, and guitar solos that would make Rivers Cuomo wince, I am concerned that Superchunk have committed the cardinal sin of recording a modern pop punk record. However, repeated listens to the record justify its sonic relentlessness is justified. There’s no getting past the fact that the production is horrible (to these ears), the guitar solos are overwrought, though that’s not to say that the band have forgotten to write any songs on this record. Ostensibly being marketed as a political record in response to Trump, there’s nothing overtly political on this record but it does rattle with the frustration and inertia of a politically and socially conscious outfit. ‘Dead Photographers’ is a particularly acerbic cut and an album highlight. Lead single ‘Erasure’ is another absolutely joyous exercise in taking the depressing and demoralizing political circumstances and confronting it defiantly. Magnetic Fields man Stephen Merritt lends his vocal chords to give the song an additional lift. ‘Reagan Youth’ is one of the more lyrically direct songs on the album – a ferocious short blast bemoaning late capitalism. ‘Cloud Of Hate‘ is even more visceral, in and out in under 80 seconds. It’s reminiscent of The Descendents. ‘Break The Glass’ hangs on a wonderfully uncomfortable musical tension, bolstered by thunderous, propulsive drumming. The record does give the listener a bit of a breather in the final quarter with some more plaintive songs: ‘Black Thread‘ harks back to the Superchunk of yore and wouldn’t sound out of place on a modern Built To Spill album. In spite of my reservations regarding some production choices, What A Time To Be Alive is a solid collection of songs that don’t exhaust ideas or outstay their welcome; it’s a refreshingly concise album that bears repeated listens. What A Time To Be Alive is out now on Merge.